Ellie Mae’s digital lending platform Encompass has been given an upgrade with several new features. The firm says its major new release will help mortgage lenders originate more loans, lower origination costs, and shorten closing times; all while keeping on the right side of compliance requirements. “With this new release we’re offering multi-channel opportunities for growth with innovation to help lenders engage with more homebuyers, capitalize on the growing HELOC demand and boost loan acquisition productivity and efficiencies for correspondent and wholesale channels,” said Jonathan Corr, president and CEO of Ellie Mae. 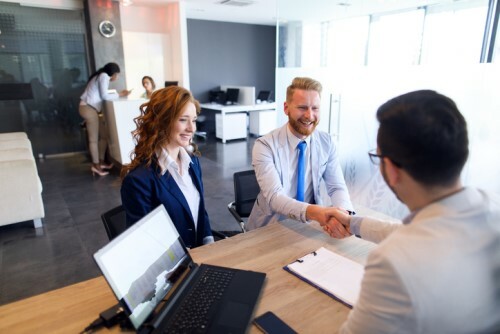 The release includes expanded HELOC origination support, the addition of Americans with Disability Act (ADA) capabilities within Consumer Connect™ and Correspondent and Wholesale Lending enhancements. Expanded HELOC origination support: there’s a new HELOC calculator designed to enable Loan Officers to identify the maximum draw amount and credit limit. To help with faster secondary-market sales, there is now the ability to view all HELOC details within a lock request transaction and a Lock Request Form that seamlessly integrates with the Encompass Product & Pricing Service™ HELOC programs. Consumer Connect ADA enhancements: Out of the box ADA accessible website templates, borrower portal and loan application; conforming to the usability standards set forth by the Web Content Accessibility Guidelines (WCAG) 2.0 Level A and AA. New borrower widgets offering the ability to add a Consumer Connect loan application and/or borrower portal into a lender’s existing online presence to streamline and integrate the experience for consumers. Correspondent and Wholesale Lending Enhancements: significant enhancements to TPO Connect™ (Ellie Mae’s broker and correspondent seller portal solutions) including automated document upload notifications, multi-channel workflow enhancements and support for additional third party credit provider integrations to help correspondent investors and wholesale lenders collaborate more effectively with brokers and sellers.